This entry was posted in A. W. Tozer, Daily Devotional Guide on December 17, 2018 by Truth2Freedom. President Donald Trump early on Monday again criticized the Federal Reserve for its current series of interest-rate increases, days before the U.S. central bank is expected to push up interest rates again. President Donald Trump and Congress, embroiled in a feud over his proposed U.S.-Mexico border wall, have only five days to reach a deal before a partial government shutdown could leave about a quarter of the federal workforce without paychecks. President Donald Trump on Saturday hailed a court decision against Obamacare as “a great ruling for our country,” while a U.S. government official said the decision by a Texas judge would have no immediate impact on health coverage. U.S. Interior Secretary Ryan Zinke, who has aggressively sought to roll back Obama-era environmental protections, will be leaving his post at the end of the year, President Donald Trump tweeted on Saturday, the latest high-profile departure from his administration. Turkey may start a new military operation in Syria at any moment, President Tayyip Erdogan said on Monday, adding that the White House has responded positively to Ankara’s plans to push into territory where its forces have not previously operated. The United States came under fire from China and the European Union on Monday, accused by both major trading partners of taking protectionist measures and bringing the WTO to its knees. Alphabet’s, Google is investing more than $1 billion on a new campus in New York, becoming the second major technology company after Amazon to pick America’s financial capital to expand and create thousands of jobs. As U.S. bank stocks tanked this month over fears of an impending recession, industry executives downplayed concerns arguing that the economy is in great shape. Several thousand people marched through Hungary’s capital Sunday in a fourth day of demonstrations against new laws that critics say restrict workers’ rights and undermine democracy. Nicaraguan police have raided the offices of an opposition daily and then stripped human rights and activist groups’ permission to operate, those targeted said Saturday. In Marrakech this month more than 180 countries will affirm the United Nations Global Compact for Safe, Orderly, and Regular Migration. What began with great optimism as an open, transparent, and inclusive process that would include all of the world’s states has been clouded by global political controversy over the compact and a series of last-minute withdrawals. A car bomb killed at least nine people including five civilians near a pro-Turkey rebel post in the northern Syrian city of Afrin on Sunday, a British-based war monitor said. A drive to impose more sanctions on Russia for its capture of Ukrainian navy vessels in November seems to be gaining traction, the United States envoy to the Ukraine conflict, Kurt Volker, told an online briefing on Monday. Democratic Republic of Congo goes to the polls this week in elections which could see the country emerge from 17 years of conflict-ridden rule under controversial President Joseph Kabila. Twenty-one candidates are running to replace Kabila. The US military said it had carried out six air strikes in Somalia which killed a total of 62 al-Shabab extremists. The use of electronic cigarettes by US teenagers has dramatically risen this year, a new report says. The percentage of 12th grade students, typically aged 17-18, who reported vaping nicotine rose to 21% from 11% in 2017, a survey by the University of Michigan said. Researchers say the trend is reversing declines in the number of adolescents who use nicotine. Russia allegedly used every major social media platform to influence the 2016 US election, a report claims. Research is expected to say YouTube, Tumblr, Instagram and PayPal – as well as Facebook and Twitter – were leveraged to spread propaganda. Cambodia has seized more than 3.2 tonnes of African ivory hidden in a storage container from Mozambique, a customs official has said. The US Navy has acknowledged that its longstanding operations in Haifa may change once a Chinese firm takes over the civilian port in 2021, prompting Israel’s national security cabinet to revisit the arrangement. A recent study from Merrill Lynch found that 79 percent of parents continue to serve as the “family bank” for their grown-up children, paying for big-ticket items like college and weddings, but also for smaller, everyday expenses. Parents of adult children contribute $500 billion annually – twice the amount that they invest in their own retirement accounts. California Republican Rep. Darrell Issa told Fox News’ “Sunday Morning Futures” that the FBI had “tricked” Flynn into not having a lawyer and had improperly “post-dated” documents to “morph” them into critical evidence against him. He promised Comey would face tough questioning about the episode. “Tomorrow is going to be a very different day for Comey, particularly in light of what we’ve learned — the misconduct during the Flynn investigation was all about, thanks to a judge that demanded to understand what had happened,” Issa told host Maria Bartiromo, referring to U.S. District Judge Emmet G. Sullivan’s order last week that led Mueller to turn over key documents in the case. A general in Iran’s Revolutionary Guards who fought in Syria and Iraq accidentally killed himself on Sunday while cleaning a gun, The Associated Press reported. The Guards’ website said Gen. Ghodratollah Mansouri has accidentally shot himself in the head while cleaning his pistol. Dozens of churchgoers and seminary students from the Early Rain Covenant Church in Sichuan’s provincial capital Chengdu have been detained in a police raid on the church, which was shut down by the authorities earlier this year. 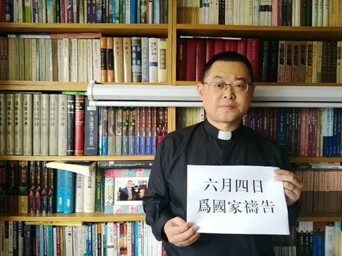 Pastor Wang Yi and his wife Jiang Rong were among those detained in night raids on people’s homes, according to the U.S.-based Christian rights group ChinaAid. “We as Germans know what happens in the early stages of a dictatorship. The similarities between the early Nazi regime and Erdogan’s Turkey right now are frightening,” Oliver Bienkowski, one of the activists, told The Independent while adding the Turkish leader “must be stopped before it is too late.” The incident came in mind again watching Erdogan’s latest bellicose actions toward the Kurds in Syria, his renewed vicious rhetoric toward Israel, as well as the publication of a new study documenting the massive crackdown on press freedom in Turkey. “What is happening at the moment is that we are in a process of normalization with the Arab world without progress in the diplomatic process with the Palestinians,” Netanyahu said. “The global race is already underway and various countries are investing huge sums in developing the field – and if we do not run forward, the State of Israel will be left behind,” said Prof. Yaffa Zilbershatz, chairwoman of the Council for Higher Education’s Planning and Budgeting Committee. China and the US have made substantial investments and advancements in some area of quantum research. Israel will likely face criminal charges at the International Criminal Court in the Hague if it approves legislation to expel the families of Palestinian terrorists from their homes, a top Israeli human rights expert warned on Monday. The bill received preliminary approval in the ministerial committee for legislation on Sunday. After years of controversy, the Regional Committee for Planning and Construction of the Finance Ministry is scheduled to vote Monday afternoon on plans to upgrade and renovate the egalitarian prayer section of the Western Wall. The committee, which is comprised of professional ministry civil servants as well as some Jerusalem Municipal Council politicians, is expected to approve the planned renovation. About 10,000 people have rallied in Hungary’s capital Budapest against new labour laws, which have been labelled “slave” legislation by opponents. The crowds marched towards parliament and the state TV headquarters, in what was the fourth and largest protest since the laws were passed last week. Police fired tear gas to disperse protesters near the TV station. A son of Israeli PM Benjamin Netanyahu says Facebook blocked him for 24 hours amid a spat over several posts railing against Palestinians and Muslims. Last week, Facebook removed a post by Yair Netanyahu in which he called for “avenging the deaths” of two Israeli soldiers killed by a Palestinian. A post in which the 27-year-old said he would prefer if “all Muslims leave the land of Israel” was also taken down. Christmas shoppers could have their faces scanned in central London this week as part of a police trial. The Met says it will invite people to take part in testing the technology rather than scanning people covertly. The trials will be held near Soho, Piccadilly Circus and Leicester Square on Monday and Tuesday. China and Russia have modified an important layer of the atmosphere above Europe to test a controversial technology for possible military application, according to Chinese scientists involved in the project. A total of five experiments were carried out in June. One, on June 7, caused physical disturbance over an area as large as 126,000 sq km (49,000 square miles), or about half the size of Britain. Privacy organizations have been campaigning in the United States for several years for regulations to protect children from internet-connected “smart” toys such as dolls and games that enable the manufacturers to listen to their playtime. More than 55,000 properties in Sydney and the central coast are still without power after thunderstorms savaged the New South Wales coast and the clean-up is expected to take several days. Iran’s Rouhani threatens US: “You will not be safe from a deluge of drugs, asylum seekers, bombs and terrorism” – how will Trump respond? Analysts have been saying for years that it was only a matter of time until Israel and Lebanon’s Hezbollah terrorist militia were again engaged in open conflict. The events of the past several days have finally woken most Israelis up to the seriousness of those warnings. Universities across the country are starting to install vending machines whereby college students can obtain emergency contraception from a vending machine. When the government starts deciding how your children will think even before they have left pre-school, you can safely say you’re locked inside an Orwellian system controlled by oppressive bureaucrats. Sure, you’ve heard of nasal vaccines, like for Polio, but have you heard of the needle-free vaccine that’s sprayed down on you from the sky? Remember the mass aerial spraying over Miami during the great Zika hoax recently? If you’re worried about chemtrails and the mosquito truck spraying poison all over your neighborhood and your kids out playing in the yard, get ready for the most insane, involuntary, unauthorized, unconstitutional, unethical, unsafe, untested and immoral form of forced medication ever unleashed on a nation. And you thought fluoridated water was bad. Texas Judge Reed O’Connor struck down the laughably named “Affordable” Care Act. A little girl died after being taken into custody following an illegal border crossing. The “collusion” investigation is looking more like a counteroffensive to cover up Demo malfeasance. Fascism in our schools is raising kids who are the antithesis of what the Founders stood for. Congress is muddling an alliance with its vote to undermine American foreign policy. Today is the anniversary of the 1791 ratification of our Bill of Rights, the first 10 Amendments to our Constitution. On Dec. 16, 1773, “radicals” from Boston threw 342 chests of tea into Boston Harbor. Part of a video series on free speech and the law by UCLA law professor Eugene Volokh. ObamaCare unconstitutional, Mueller tops $25 million, Comey back on Hill, shutdown theater, and more. This entry was posted in Uncategorized on December 17, 2018 by Truth2Freedom. As we creep closer to the Dec. 24 government shutdown deadline, the ongoing impasse between Trump and Schumer has sent PredictIt’s shutdown odds to a contract high of 58%, suggesting the market is confident the US government will shutdown at midnight on Friday 21. And so as both traders and pundits are convinced the market will likely shut down at midnight on December 21st, here’s what to expect courtesy of UBS analyst Peter Hahn. The good news, is that in this particular instance, the impact to price action should be largely discounted – 5 out of 12 appropriation bills accounting for 75% of discretionary spending have already been approved, so only 25% of discretionary spending is at risk. Even if 100% of discretionary spending were at risk, we would generally need to see a prolonged shutdown before there were to be a meaningful impact to growth. Having said that, it can be useful to understand what typically happens in price action even if in order to fade the move the market gets it wrong (in either direction). UBS took a look at the moves in equities, rates, curves, and USD in various time windows leading into the government shutdown across 19 shutdowns since 1976 (Tables 1 and 2). The Swiss bank also measured the largest move (from minimum to maximum or vice versa) within 1 month of the shutdown to get a sense for which direction the volatility was. DXY lower and curves steeper were the most consistent asset price moves ahead of upcoming government shutdowns, where each moved more than 60% of the time in all of the given windows, indicating a robustness in the signal. A broad rule of thumb may be to discount any potential move by 75% given the partial nature of a potential shutdown on December 21st, but in the event that a shutdown looks like it may drag on for longer than expected, the past can at least help us to understand the direction in which the risk may end up going. Congress can avoid a partial shutdown on December 21st by passing another Continuing Resolution (CR). Congress has already issued two CRs for the current budget thus far – in September, Congress issued a CR to extend the deadline to pass the remaining 7 appropriations (out of 12) to December 7th, which was again extended by 2 weeks to the current deadline of December 21st. To the extent that Congress doesn’t want to be responsible for a shutdown, they could easily issue another CR to extend the deadline again. Congress is ultimately in control: If President Trump refuses to sign a CR passed by Congress, Congress does have the option to overrule the veto (2/3 in both House and Senate). And conventional wisdom would say that neither the Republicans nor the Democrats would benefit from another shutdown. 75% of discretionary spending has funding through the end of fiscal year 2019 (Oct 1, 2018 – Sep 30, 2019): The 5 appropriation bills that have been passed so far (Energy & Water; the Legislative Branch; Military Construction & VA; Department of Defense; and Labor, Health and Human Services) account for 75% of discretionary spending. The outstanding appropriation bills are for Agriculture; Commerce, Justice, Science; Financial Services and General Government; Homeland Security; Interior, Environment; State, Foreign Ops; Transportation, HUD. Brief shutdowns may have no effect on the economy: In a study from January this year, UBS Economists estimated that each day of a full shutdown would reduce GDP by 2.4bp, but also found that the true effect would depend on the length of the shutdown. Shorter shutdowns (<1week) may have zero effect. Not all government expenditures cease during a shut down and some employees labelled “essential” still work. Additionally, expenditures that would have occurred during the shutdown have generally been made up shortly after the government reopens. The debt ceiling will be the bigger risk for markets next year: The deadline to raise the debt ceiling is March 2, 2019. However, this could be extended through extraordinary measures for many months depending on how tax receipts come in for March (corporate taxes) and April (personal taxes). In March 2017, extraordinary measures lasted the government all the way through September (6+ months). The Deep State corrupt characters in the FBI and DOJ worked overtime and at the speed of light in their efforts to frame and set up General Michael Flynn and the Trump Administration. After they were caught, they delayed for months in providing evidence to the US Senate and the DOJ Inspector General’s Office and eventually destroyed evidence that would have clearly shown their criminal deeds. The Deep State actors in the FBI and DOJ in their attempt to overthrow the Trump Administration were corrupt and criminal but they weren’t lazy. They only pretend to be lazy and sloppy when they are caught and are asked to provide evidence that would unravel their crimes. Before President-elect Trump’s Inauguration, these corrupt employees of the Obama Administration even worked overtime and on the weekends to usurp the will of the American people. For example, on December 29 of 2016, right after President – elect Trump won the election, his soon to be National Security Advisor, General Michael Flynn, contacted Russian Ambassador to the US, Sergey Kislyak. The call was well within the mandate of General Flynn’s new role in the soon to be Trump administration. This means that the FBI reviewed these calls in a matter of hours after they were made by General Flynn on December 29th 2016. The 29th was a Thursday and the 30th was a Friday with New Year’s eve landing on Saturday that year. So the FBI or some other intelligence agency intercepted these calls and then the FBI reviewed these intercepts on either the 29th or 30th during normal working hours or on the 31st – that Saturday. The FBI worked at light speed to intercept, record and review General Flynn’s calls with the Russian Ambassador to the US. It’s odd that Susan Rice felt the need to record this meeting the last day of the Obama Administration. We now know from a Senate request for information, that the very next day, on Friday, January 6th, 2017, crooked Comey came into the office to update top FBI gang members about information from the “sensitive matter team”. It’s unknown who that team was but likely it was related to the Obama meeting the day prior. A couple of days after that, on January 12th, 2017, the far-left Washington Post released an article insinuating that Trump supporter, General Mike Flynn, spoke with Russians on the phone while insinuating that his call was against the law. It was against the law to unmask the civilian Flynn’s name and then leak it along with the story to the WaPo. We still don’t know who did this. The DOJ Inspector General uncovered text messages between two members of the Mueller Special Counsel team who were way up in the FBI and also lovers, Peter Strzok and Lisa Page. Mueller was told of their texts and the information on them apparently and they were soon removed from the Mueller gang of corrupt Democrats working to overthrow the Trump Administration. Mueller’s Special Counsel team of angry Democrats next scrubbed Peter Strzok’s phone and then turned it over to the Office of Inspector General investigators AFTER Peter Strzok was fired from the special counsel. Peter Strzok was reassigned in the summer of 2017 to the FBI’s human resource department after his dismissal from the Mueller witch hunt in July 2017. His lover Lisa Page reportedly resigned from the Special Counsel in May 2017 – two weeks before Strzok was fired. Lisa Page’s phone was scrubbed and not turned over to OIG until September 2018. When the FBI works to frame or setup individuals or overthrow the US government, they work at light speed. When they are caught and evidence is requested from them from Congress or the Inspector General, they delay and even destroy evidence. This is the reality of America’s Deep State FBI and DOJ today! God save America! I urge you to watch this. It’s only six minutes long, but it would be hard to find a Protestant who has ever said more scathing things about the Roman Catholic hierarchy, than Michael Voris says here. What’s really amazing is that, because Voris has had interactions with federal and state investigators, what he says here is no doubt highly factual. Consider the effects of compound interest for a 1500 year old organization. Ok, I would extend that to about 1000 years … “unchecked” since the eastern churches broke off from Rome in about 1054 AD, leaving Rome not merely the “first among equals”, but simply “the first” in its part of the world (western Europe). These investigations will be going on for years, and they will be in the major news media for years to come. It is hard to imagine where it will all end. You can tell a tree by its fruit. You may have read the news last week that the Communist government in China has cracked down on a church in the city of Chengdu. A couple weeks ago, Chinese authorities arrested pastor Wang Yi, his wife, and over 100 Christians who attend Early Rain Covenant Church. The Communists regard religion as a threat to the regime, and so authorities charged them with “inciting subversion of state power.” Wang Yi and his wife have not been heard from in over a week. Foreseeing his arrest, Pastor Yi wrote the declaration below to be published by his church should he be detained for more than 48 hours. The declaration “explains the meaning and necessity of faithful disobedience, how it is distinct from political activism or civil disobedience, and how Christians should carry it out.” This English translation was originally published on the China Partnership Blog on December 12, 2018, and is replicated here with permission. Thanks are due to Brent Pinkall and the China Partnership translation team for their work. We had a portion of this letter read from our pulpit yesterday. I think every Christian would do well do read the entire thing. Pastor Yi is teaching us how to bear faithful witness, and we need to pray for him, his wife, their children, and their entire church as they are suffering persecution. Remember when James MacDonald stormed the gates of Grace Community Church to pass out his continuationist garbage-book with Mark Driscoll? Remember when James MacDonald scoffed at Mark Dever and those who opposed the satellite church model, right before his own satellite empire collapsed? Remember when James MacDonald was fired as CEO of his church and retained just to preach? Remember when James MacDonald sued reporters for saying true things about him? Remember when James MacDonald brought in Oneness Pentecostal anti-Trinitarian and prosperity preacher, TD Jakes, at the Elephant Room and embraced him as a brother-in-Christ? This guy was invited to preach at the Southern Baptist Pastor’s Conference, apparently because he’s such a good example of what a pastor should be. He’s recently bowed out of the event, ostensibly because of controversies surrounding his pastorate. Whoever invited MacDonald to preach to Southern Baptist pastors at a pastors’ conference was insanely idiotic to begin with. Nonetheless, he’s now out. The Southern Baptist Convention is into celebrities, not soundness. Julie Roys, who herself was targeted by MacDonald for reporting truths about him and Harvest Bible Church, wrote a stunning investigative piece for World Magazine on December 13. Although MacDonald and Harvest deny her reporting (although not specifically), they are apparently reeling from the controversy. He who observes the day, observes it to the Lord. The Puritans in early America rejected Christmas celebrations altogether. They deliberately worked on December 25 to show their disdain. A law passed in England in 1644 reflected a similar Puritan influence; the law made Christmas Day an official working day. For a time in England it was literally illegal to cook plum pudding or mince pie for the holidays. Christians today are generally not opposed to celebrating Christmas. The holiday itself is nothing, and observing it is not a question of right or wrong. As Paul wrote, “One man regards one day above another, another regards every day alike. Let each man be fully convinced in his own mind. He who observes the day, observes it for the Lord, and he who eats, does so for the Lord, for he gives thanks to God; and he who eats not, for the Lord he does not eat, and gives thanks to God” (Rom. 14:5–6). Every day—including Christmas—is a celebration for us who know and love Him. MacArthur, J. (2001). Truth for today : a daily touch of God’s grace (p. 378). Nashville, Tenn.: J. Countryman. This entry was posted in Daily Devotional Guide, John MacArthur on December 17, 2018 by Truth2Freedom. The blessing promised to the one who keeps His commandments is that he abides in Christ and He in him. The term translated abides (from the verb menō, “to stay, remain”) is one of John’s favorite words for salvation (see John 15:4–10) and is a repeated reference in this letter (cf. 2:6, 10, 24, 28; 3:6; 4:13, 16). (For more on the theme of abiding, see the earlier discussions of 2:6 and 2:28 in chapters 5 and 10, respectively, of this volume.) That shared life is possible only by the Spirit whom He has given (cf. 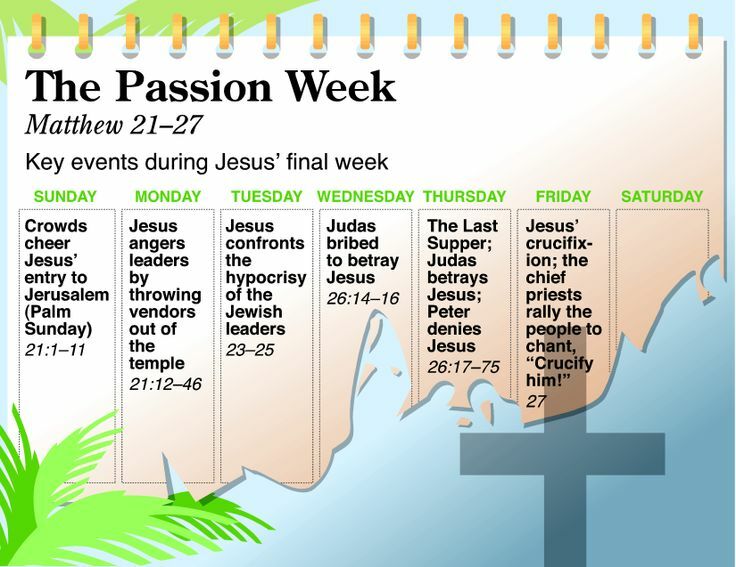 Luke 11:13; 12:12; John 14:16–17, 26; 15:26; Acts 1:4–8; Rom. 5:5; 8:11, 16; Gal. 4:6; 5:16, 22; Eph. 1:13–14; 1 John 2:20, 27; 4:1–2, 13). To be sure, the workings of the Holy Spirit include an element of the mysterious; they cannot be controlled or fully understood by frail, sinful human beings. 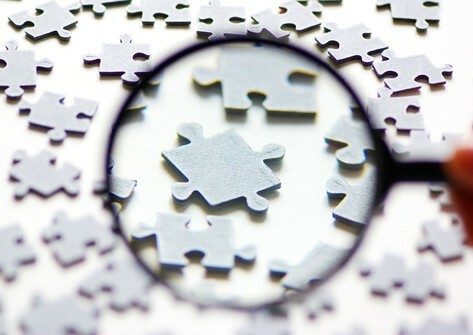 Nevertheless, the results of those workings are readily apparent, as Jesus told Nicodemus by means of a familiar illustration: “The wind blows where it wishes and you hear the sound of it, but do not know where it comes from and where it is going; so is everyone who is born of the Spirit” (John 3:8). As the effects of the wind can be seen, felt, and heard, so the Spirit’s working in lives is manifest and those who see that work will know by this that He [Christ] abides in them. It was the Spirit of Christ (Rom. 8:9) who made saints’ spiritually dead souls alive (John 3:5–8; Titus 3:5), gave sight to their blind eyes, caused their sinful hearts to repent (cf. Acts 16:14), and drew them in faith to Jesus (1 Peter 1:2). It was the Spirit who placed them into the body of Christ (1 Cor. 12:13) and gifted them for ministry in the church (1 Cor. 12:7; cf. Rom. 12:3–8; 1 Peter 4:10–11). It is through His illuminating instruction that Scripture comes alive for believers as they read and meditate on it (1 Cor. 2:10–14; cf. Eph. 6:17). The Spirit also energizes the saints’ prayers (Eph. 6:18; Jude 20) and intercedes for them (Rom. 8:26–27). He leads and guides Christians (8:14) and assures them that they are children of God (vv. 15–16; Eph. 1:13–14). Salvation is not a one-time event but a way of life and entails a willingness to follow Jesus no matter the cost (cf. Luke 9:23, 57–62). The presence of genuine holy affections—gratitude toward God, boldness in prayer, submission to His commandments, faith in the Lord Jesus Christ, and an appreciation of the Holy Spirit’s power in their lives—all characterized and undergirded by a continual love for other believers—marks those who persevere in this true faith (cf. Rom. 2:7; Col. 1:21–23). The presence of those godly virtues gives those who manifest them true assurance (2 Peter 1:8–10; cf. Phil. 1:6; 2 Tim. 1:12b) and confidence that they have been born from above by the power of God. In the last verse of chapter 3, John introduces two new ideas into the letter, neither of which has even been suggested up to this time. He mentions the idea of a mutual abiding, of Christ in the Christian and of the Christian in Christ; and he mentions the Holy Spirit, through whom the abiding is effected. Because of the development to come in chapter 5, the idea of the witness of the Holy Spirit is the more important of the two new concepts. The Spirit whose presence is the test of Christ’s abiding in us, manifests himself objectively in our life and conduct. It is he who inspires us to confess Jesus as the Christ come in the flesh, as John immediately proceeds to show (iv. 1ff. ; cf. ii. 20, 27). It is also he who empowers us to live righteously and to love the brethren (cf. iv. 13; Gal. vv. 16, 22). So if we would assure our hearts when they accuse and condemn us, we must look for evidence of the Spirit’s working, and particularly whether he is enabling us to believe in Christ, to obey God’s commandments and to love the brethren; for the condition of abiding is this comprehensive obedience (24a), and the evidence of abiding is the gift of the Spirit (24b). This, of course, returns us to the starting point of this chapter; for it reminds us that the cure of doubt is not to be found in some subjective experience, but rather in knowledge. It is to be found in knowledge of the workings of God in our lives and of his verdict of acquittal of sinners through the work of Christ. 24. And he that keepeth his commandments. He confirms what I have already stated, that the union we have with God is evident when we entertain mutual love: not that our union begins thereby, but that it cannot be fruitless or without effect whenever it begins to exist. And he proves this by adding a reason, because God does not abide in us, except his Spirit dwells in us. But wherever the Spirit is, he necessarily manifests his power and efficiency. We hence readily conclude, that none abide in God and are united to him, but those who keep his commandments. MacArthur, J. (2007). 1, 2, 3 John (pp. 148–149). Chicago, IL: Moody Publishers. Boice, J. M. (2004). The Epistles of John: an expositional commentary (p. 104). Grand Rapids, MI: Baker Books. Calvin, J., & Owen, J. (2010). Commentaries on the Catholic Epistles (pp. 226–227). Bellingham, WA: Logos Bible Software. Thatcher, T. (2006). 1 John. In T. Longman III & D. E. Garland (Eds. ), The Expositor’s Bible Commentary: Hebrews–Revelation (Revised Edition) (Vol. 13, pp. 469–470). Grand Rapids, MI: Zondervan. This entry was posted in Daily Devotional Guide, Verse of the day on December 17, 2018 by Truth2Freedom. The Father exalted the Son as the God–man. A question that often springs to mind regarding the exaltation of Christ is how Jesus could be exalted since He is already God. We find the answer in Jesus’ High–Priestly prayer in John 17, where He asked the Father to restore to Him the glory He had with the Father before the world began (v. 5). Christ’s request shows that He gave up something that God would give back to Him. Christ gave up His glory in the Incarnation. Beyond glorification, in His exaltation Christ would receive more than He had before. How is that possible? God has it all. Christ didn’t become any more God or any more perfect; He was already the Most High God—King of kings and Lord of lords. But as the God–man, a new state of being for Him, He suffered things and was given things He would not otherwise have had if He had not become the God–man. For example, He never would have had the privilege of being the interceding High Priest for His people if He had never been touched with the feelings of their infirmities—tempted in all points like them. If He had not become the God–man, He would never have become our substitute by bearing our sins in His own body on the cross. As God He was incapable of elevation, but as the God–Man He could be lifted up from the lowest degradation to the highest degree of glory. So in a sense He received from the Father privileges He didn’t have before—privileges He gained because of His incarnation. At His ascension Christ was seated at the Father’s right hand. He was elevated to that position as the God–man—a state of being that was His only because of His incarnation. Thus He entered upon the rights and privileges not only of God as God, but of God as the God–man. His exaltation was not with regard to His nature or eternal place within the Trinity but with regard to His new character as the God–man. Suggestions for Prayer: Thank the Father for exalting His Son to His rightful place in Heaven. For Further Study: According to Acts 5:31, in what two ways did God exalt Christ to His right hand? Why? OUR Lord would have all his people rich in high and happy thoughts concerning his blessed person. As a help to high thoughts of Christ, remember the estimation that Christ is had in beyond the skies. Think how God esteems the only begotten, his unspeakable gift to us. Consider what the angels think of him, as they count it their highest honor to veil their faces at his feet. Think of the mighty love which drew him from his throne to die upon the cross! See him risen, crowned, glorified! Bow before him as the Wonderful, the Counsellor, the mighty God, for only thus will your love to him be what it should. Spurgeon, C. H. (1892). Daily Help (p. 355). Baltimore: R. H. Woodward & Company. This entry was posted in C. H. Spurgeon, Daily Devotional Guide on December 17, 2018 by Truth2Freedom. “To which of the angels has He ever said, ‘Sit at My right hand, until I make Thine enemies a footstool for Thy feet’? Are they not all ministering spirits, sent out to render service for the sake of those who will inherit salvation?” (Heb. 1:13–14). The destiny of Jesus Christ is that ultimately everything in the universe will be subject to Him. At the name of Jesus every knee [will] bow, of those who are in heaven, and on earth, and under the earth” (Phil. 2:10). This great promise confirms that Jesus Christ is destined to be the ruler of the universe. Yet notice this about Christ’s rule: “When all things are subjected to Him, then the Son Himself also will be subjected to the one who subjected all things to Him, that God may be all in all” (1 Cor. 15:28). Christ is subordinate to His Father, but only in His role as the Son. While the eternal Son is equally divine, He is officially in subjection to God. Eventually God will put all kingdoms, authorities, and powers of the world in subjection under Christ when He comes in glory at His Second Coming. “He will rule [the nations] with a rod of iron; and He treads the wine press of the fierce wrath of God, the Almighty. And on His robe and on His thigh He has a name written, ‘KING OF KINGS, AND LORD OF LORDS’” (Rev. 19:15–16). Christ’s eternal destiny is to reign over the new heavens and the new earth. But what about the angels? While Christ has the greater destiny, it is their destiny to serve forever those who will inherit salvation (Heb. 1:14)—and that’s us! Angels protect and deliver believers from temporal danger. They rescued Lot and his family from the destruction of Sodom. They went into the lions’ den with Daniel and protected him. In addition to being forever in God’s presence, our destiny is to be served by angels forever—service that begins at the moment of our salvation. Suggestions for Prayer: Thank God for the many ways He takes care of you—by saving you, having Christ intercede for you, giving you the Holy Spirit to teach you, and sending His angels to serve you. For Further Study: Read 2 Kings 6:8–23, and note the amazing way that angels served the prophet Elisha. MacArthur, J. F., Jr. (1993). Drawing Near—Daily Readings for a Deeper Faith (p. 364). Wheaton, IL: Crossway Books. It might surprise many today to find out that Saint Nicholas (spoiler alert) is a real person after all. Is he the white-bearded man with a red suit, a cap, and a sleigh? Not quite, but he probably was bearded, did wear a hat, and did travel in horse-drawn, not reindeer-drawn, transportation. The legend behind Santa Claus is Saint Nicholas, the fourth-century bishop of Myra. His hat was the bishop’s mitre. Nicholas was born in modern day Turkey to a rather wealthy family. Losing his parents at a young age, Nicholas dedicated both his fortune and his life to the Christian church. Very quickly he was appointed the bishop of Myra, on the southern coast of modern day Turkey. These were days of persecution for Christians. Roman Emperor Diocletian, who reigned from 284–305, hated Christians and stuffed Roman jails full of them. Bishop Nicholas spent the first few years of the fourth century in jail and faced routine beatings. In the next decade, Constantine legalized Christianity and Nicholas was set free. As the legend goes, Bishop Nicholas was present at the Church’s First Ecumenical Council at Constantine’s summer palace in Nicea in 325. Hundreds of Bishops gathered there to refute the false views of Arius, a presbyter from Alexandria. Arius denied Christ’s deity. At one point while Arius was addressing the council, Nicholas’s rage got the better of him. According to some of his biographers, Nicholas stood up, crossed the floor to Arius, and promptly punched him in the face. For the assault, Nicholas found himself back in jail again. The bishops deliberated his fate. Nicholas was repentant and sought forgiveness. After the Council, Constantine granted clemency and restored Bishop Nicholas to his post. And at his post Bishop Nicholas diligently served. Over the course of his entire life he was known for being extremely generous. He was especially generous to children, regularly giving them gifts. Myra was a busy port city with ships and sailors coming and going. The ships went out of Myra’s port loaded with gifts and goods for the needy, all provided and packed on by Bishop Nicholas. His gifts went all around the Mediterranean world. As sailors went around the world, they took with them the stories of the generosity of Bishop Nicholas. The year of Bishop Nicholas’s death is uncertain, but the month is firmly believed to be December. As the story of his generosity spread, the stories of his life grew and grew. He was becoming legendary. In the sixth century, a church was dedicated to him and named for him in Constantinople. His image was depicted more in the Middle Ages than any other except those of Christ and of Mary. No longer Bishop Nicholas, now he became Saint Nicholas, and his Feast Day would be December 6. One of the legends around Nicholas concerned his giving dowries to young poor girls so they would be able to marry. To reflect that legend, images of him carrying bags bulging with gold coins began to appear. As his legend moved northward, the story takes an even more interesting turn. In Germany, the tradition arose of giving gifts to each other in the name of Saint Nicholas. So, too, in the Netherlands. The Dutch word for him became Sinterklaas. The German word eventually became Santa Claus. These celebrations of gift-giving occurred on December 6, the anniversary of his death. The gift of a gold coin was highly prized and showed great favor. Even Martin Luther would come to play a role in the legend. Luther wanted a Protestant alternative to the Roman Catholic practice of celebrating the Feast of Saint Nicholas (Santa Claus). Instead of giving gifts in the name of Santa Claus on December 6, Luther started the tradition of giving gifts in the name of the Christ child, Christkindl, on Christmas Eve. Perhaps in this we have an argument for Protestant kids everywhere as to why they should be allowed to open at least one present on Christmas Eve. Christmas evolved from the word Christ Mass, the celebration of the incarnation of Christ, fixed by tradition as being on December 25. The word Luther coined, Christkindl, also evolved over the centuries. It would become Santa Claus’ other name, Kris Kringle. This effort of Luther’s to move away from the Santa Claus tradition inadvertently veered right toward it. So we have the story of Santa Claus. Interestingly enough, Saint Nicholas and his legend began in the early church. The stories wove their way through the Middle Ages, and they even made an appearance at the Reformation. Those stories still live with us today. Dr. Stephen J. Nichols is president of Reformation Bible College, chief academic officer for Ligonier Ministries, and he teaches on the podcasts 5 Minutes in Church History andOpen Book.